ElfrideSwancourt was a girl whose emotions lay very near the surface. Their nature more precisely, and as modified by the creeping hours of time, was known only to those who watched the circumstances of her history. Personally, she was the combination of very interesting particulars, whose rarity, however, lay in the combination itself rather than in the individual elements combined. As a matter of fact, you did not see the form and substance of her features when conversing with her; and this charming power of preventing a material study of her lineaments by an interlocutor, originated not in the cloaking effect of a well-formed manner (for her manner was childish and scarcely formed), but in the attractive crudeness of the remarks themselves. She had lived all her life in retirement- the monstrarigigito of idle men had not flattered her, and at the age of nineteen or twenty she was no further on in social consciousness than an urban young lady of fifteen. These eyes were blue; blue as autumn distance- blue as the blue we see between the retreating mouldings of hills and woody slopes on a sunny September morning. A misty and shady blue, that had no beginning or surface, and was looked INTO rather than AT. Elfride had as her own the thoughtfulness which appears in the face of the Madonna dellaSedia, without its rapture: the warmth and spirit of the type of woman's feature most common to the beauties- mortal and immortal- of Rubens, without their insistent fleshiness. The characteristic expression of the female faces of Correggio- that of the yearning human thoughts that lie too deep for tears- was hers sometimes, but seldom under ordinary conditions. 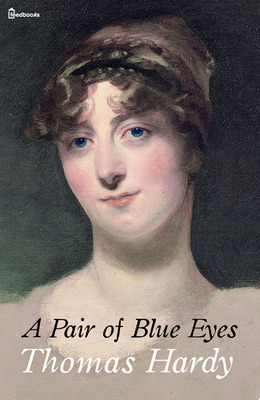 The point in ElfrideSwancourt's life at which a deeper current may be said to have permanently set in, was one winter afternoon when she found herself standing, in the character of hostess, face to face with a man she had never seen before- moreover, looking at him with a Miranda-like curiosity and interest that she had never yet bestowed on a mortal.